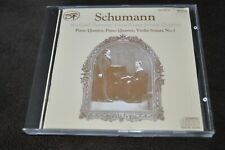 Robert Schumann, 4 Symphonien, Herbert von Karajan. Классическая музыка. Купить "Robert Schumann. 4 Symphonien. Herbert von Karajan"
Buy It Now for only: US 654,59 руб. Buy It Now for only: US 475,01 руб. Buy It Now for only: US 1 071,97 руб. Buy It Now for only: US 968,10 руб. Buy It Now for only: US 861,19 руб.